Pennsylvania business man and department store chairman Albert Boscov passed away on Friday in Reading of pancreatic cancer. He was 87. Boscov took over the department store chain in 1954. It originally started with a single dry goods store by his Russian immigrant father in 1914. He grew the enterprise into the largest family owned department store chain in the country, spanning the entire Mid-Atlantic region. Boscov attended Drexel University and donated generously to Penn State Berks campus. Albert told employees (7,500 of them in 45 stores across 7 states) that he was dying in a letter earlier this month. In an industry that is laying off employees and closing stores, Boscov's has been opening new locations. 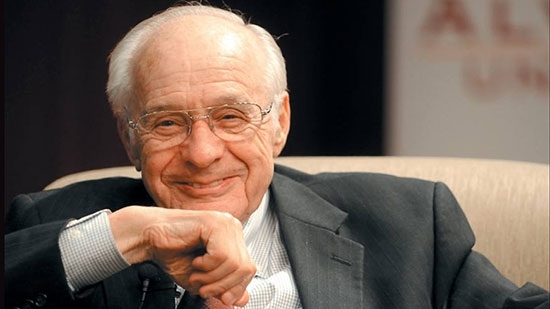 Company CEO, Vice Chairman, and nephew Jim Boscov said "Albert Boscov was truly one of the giants in the retail industry. He was a man of vision and passion and he had a profound influence on the retail business community and the community at large. We are committed to continue on the strong foundation he has created and to carry on in the spirit and philosophy he's instilled. Building on his legacy we will remain the largest family owned department store in the country." After an investigation, the New Jersey attorney general has concluded that a state trooper dispatched to the wrong home was justified in shooting the owner, who also was armed thinking there were intruders outside. It happened just before midnight on July 29, 2016, in Upper Deerfield Township, Cumberland County. State police were sent to the home of 76-year-old Gerald Sykes after a supposed 911 hang up call traced to their address. The two troopers knocked on the front door to no response before moving to the back door. They identified themselves as police and asked if anyone called 911. Meanwhile, Sykes' wife woke up to the commotion and saw the shadowy figures outside. She believed it was a ruse since they didn't call the police. Gerald grabbed a shotgun and a revolver and went downstairs. The troopers had made it to the back sliding door and saw Sykes inside with his guns pointing. They shouted "State police" and gave orders. One of the troopers fired four shots and hit Sykes in the chest and upper groin. Sykes fired his shotgun and hit an officer in the elbow. Sykes spent two weeks in the hospital recuperating. A statement from the AG says, "Mr. Sykes was armed, did not comply with troopers' commands, and approached to within a few feet of the troopers with his shotgun and revolver." The dropped 911 call was actually a bad transfer that got traced to the address of the cell tower behind the home. Cumberland County officials are investigating another police involved shooting in Bridgeton, NJ. It happened around 4 pm on the 200 block of South Avenue. Police shot and killed a man as he was running from police. A firearm was found near his body. No other details are available at this time. Mike Ilitch, owner of the Detroit Red Wings and the Detroit Tigers, passed away at age 87. Ilitch started the Little Caesars pizza chain in suburban Detroit in 1959.